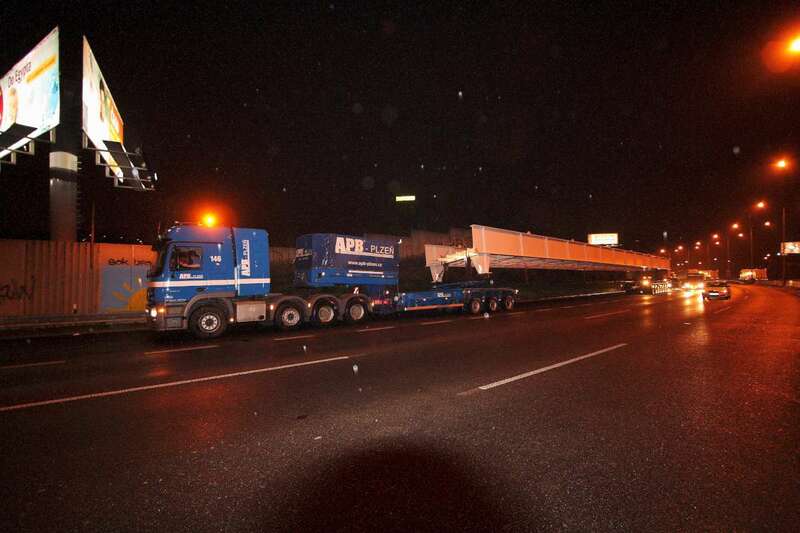 Transport of footbridge steel section to Pilsen. 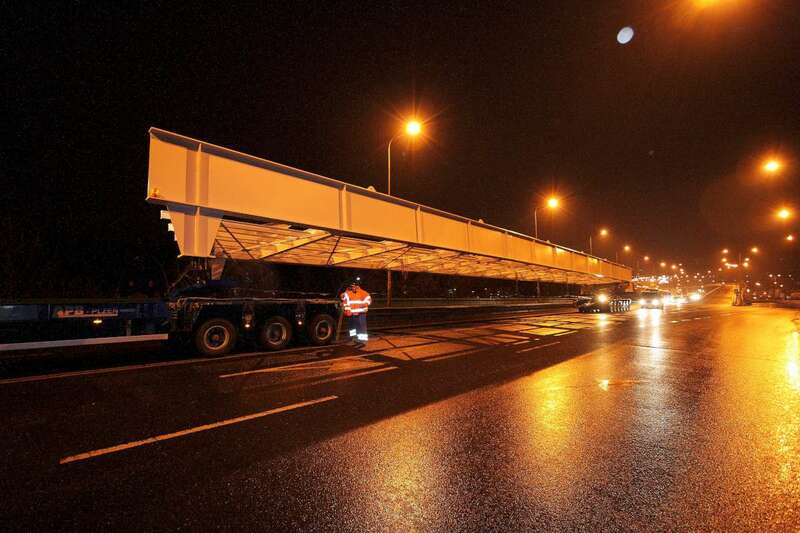 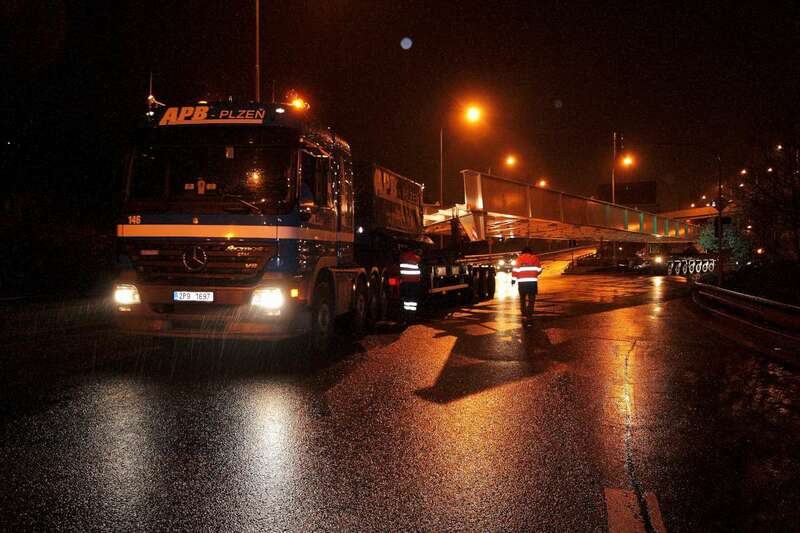 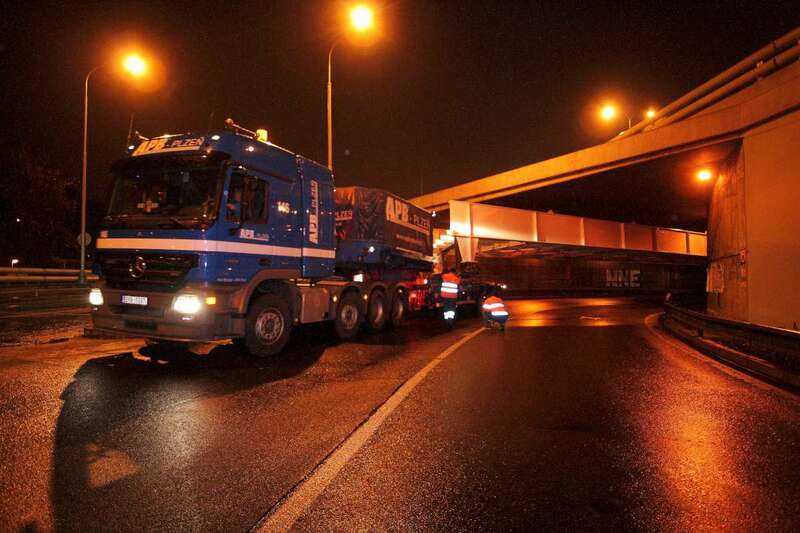 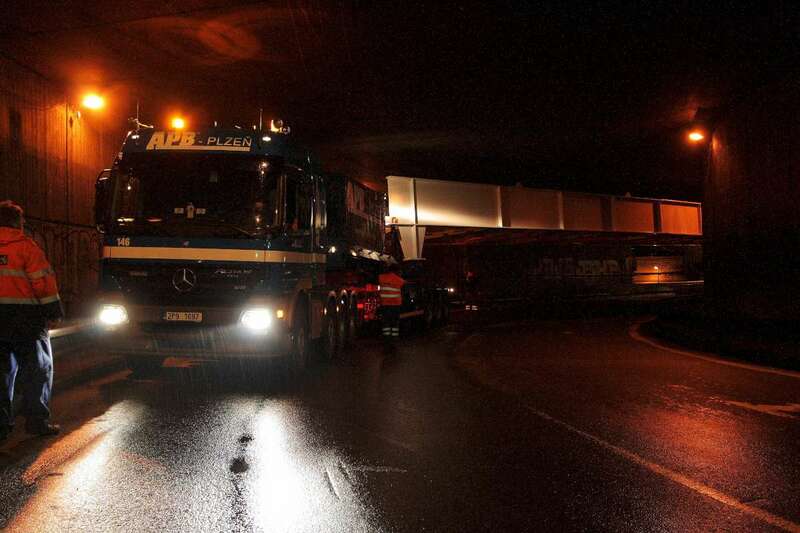 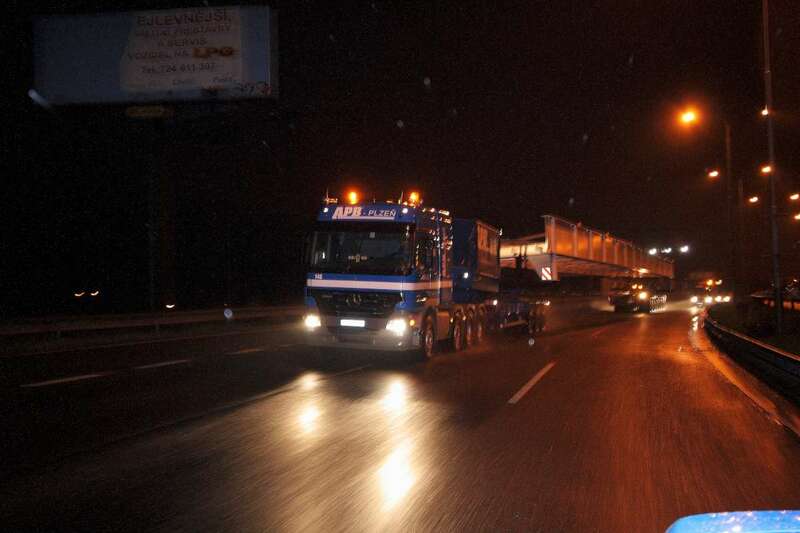 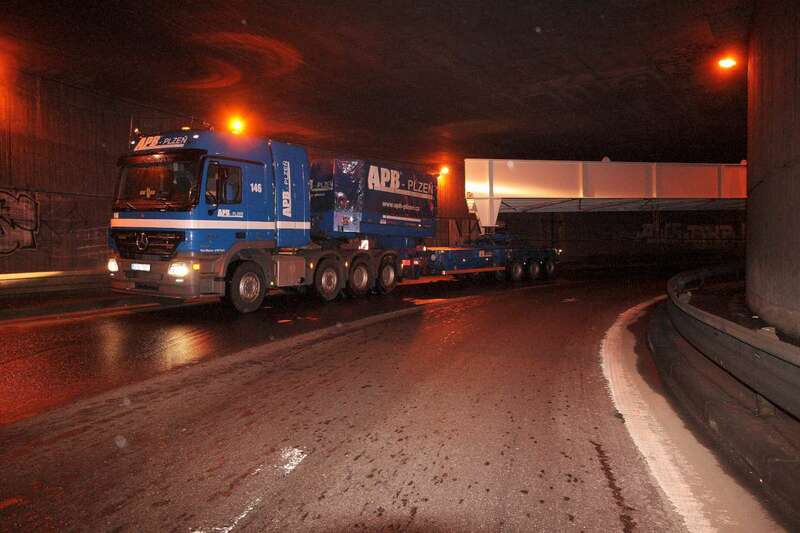 Using a special semi-trailer, we transferred the bridge structure from Prague to Pilsen. 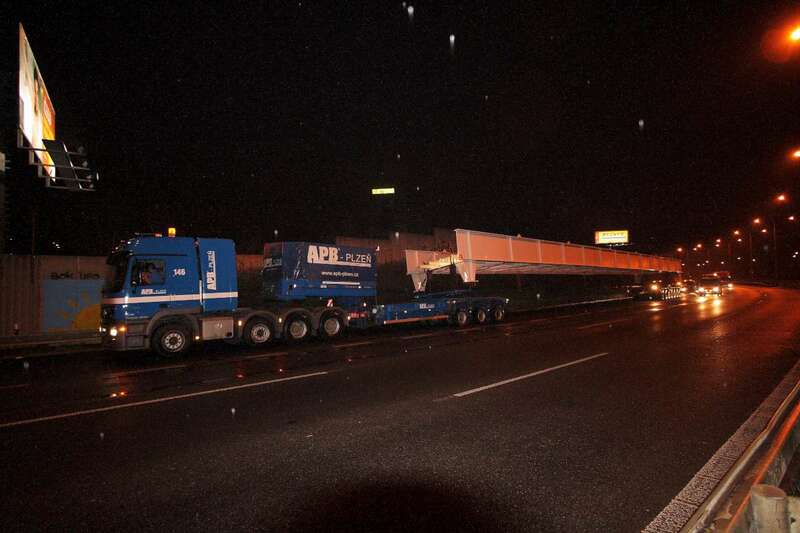 Width of oversized cargo 5.2m, length 42m.